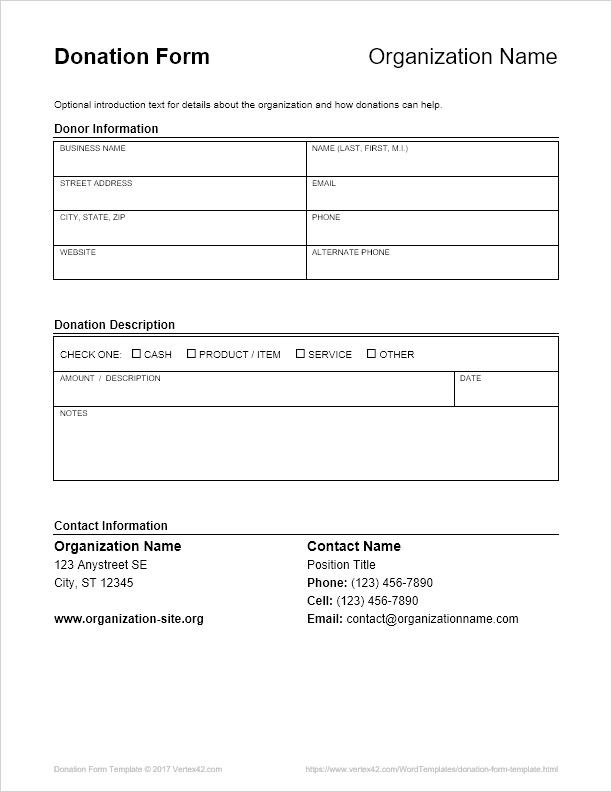 This is a simple customizable donation form that can be used by a nonprofit organization or school or church to include in a letter or handout to potential donors. You can enter your organization's name at the top and include a logo. Edit the top section to provide a brief description of your organization, how donations will be used, etc. Edit the contact information for your organization in the appropriate section. The rest of the form is meant to be completed by hand by the donor. This Donation Thank You Letter template can help fund-raisers properly thank their generous donors. 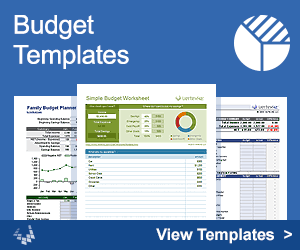 This Request for Donation Letter template can help a fundraising organization communicate with their potential donors.